What is California Workers Compensation Law? 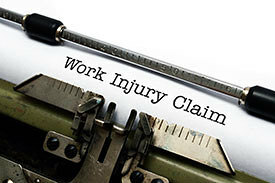 Workers Compensation Law is a no-fault system developed to help employees and company rights. Since the employee gives up the right to sue the company, the company needs to supply workers’ compensation advantages no matter the fault. Workers’ Comp. laws are created to safeguard both the worker and the company in case of an on-the-job injury. California workers’ comp. laws offer insured coverage to employees for medical care for their injury and, in lots of cases, provide guaranteed compensation during and after the recovery of their injuries. Although these laws are primarily designed to protect the employee, the advantage to employers is that they place limits on the amount of compensation that can be collected from them. As a result, many employers would rather pay for workers’ compensation insurance than be forced to pay a larger sum after losing a case. The laws also provide benefits for dependents of workers who are killed on the job and help shield coworkers from virtually any liability. You do not have to have a workers’ compensation lawyer to file a claim; however, it would be extremely helpful to talk with and/or retain an attorney regarding your case. A lawyer can assist you navigate the workers compensation law system the right way, through court deadlines, manage disagreements, represent you properly, advise for additional resources, and typically act as your legal support through the court process. It could be especially valuable for you to talk to a lawyer if you are not sure the way to proceed with your claim, you feel you are being dealt with unfairly by the insurance company or by your employer, or you have a long-term disability contact out office immediately. How Can Workers Comp. Law Help Me? 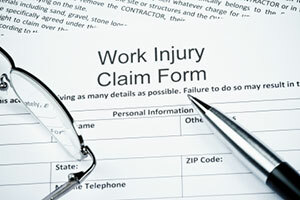 What is Workers Compensation? California, like every other state, has its own comprehensive workers’ compensation system. The DWC Office or Division of Workers’ Compensation Claims office. The Work-related injuries law exist to protect employees from financial burdens when they’re unable to work because of job-related injuries. Without this system, injured workers would be forced to sue their own employers in civil court. It would be up to them to prove their injury was due to the employer’s negligence. This can be a lengthy process and there’s no guarantee that they would win. Workers’ compensation offers advantages to an Employee Injured on Job or who have a condition, disability, or health problem caused or made worse by workplace conditions. The majority of employers are needed to have workers’ comp. insurance coverage. Laws vary from case to case and can be very complex when trying to do it alone without a lawyer to guide you through the process. Workers’ Comp. Law requires all employers with at least one employee to have California Workers Compensation Benefits insurance. This includes all temporary employees and corporate officers of the company. The law extends to out-of-state employers as well, who may have employees that regularly work in California. It covers both one-time events (e.g., back injuries, burns, accidents in company vehicles), repeated exposure events (e.g., hearing loss due to constant noise, injuries due to repeated motions) and certain psychological (stress-related) injuries caused by the job. 1.) Medical care. This covers doctor visits, tests, medication, treatment services and necessary travel costs related to care. 2.) Temporary disability benefits. This covers any lost wages incurred during recovery. 3.) Permanent disability benefits. These benefits cover injured workers who do not recover and are unable to return to work. 4.) Job displacement benefits. This supplemental voucher helps pay for retraining if a worker is unable to qualify for permanent disability and unable to return to their old job. 5.) Death benefits. This benefit distributes payments to an injured worker’s spouse or dependents if they pass away due to job-related illness or injury. California workers’ compensation law does allow an employee to predesignate their personal physician, if they have provided their employer with written notification, provided they had healthcare coverage for conditions unrelated to work on the actual date that they were injured. Medical groups generally have to meet certain criteria before they can be predesignated. If the employee has a preference for a certain acupuncturist or chiropractor, they must pay at least one visit to a doctor chosen by the claims administrator before requesting a switch. Additionally, if the employer or insurer has a contract with a health care organization, there’s a special form that must be filled out before any physician or specialist can be predesignated. If you are injured or ill at work, the first thing you should always do is report your condition to your employer. Under California law, you have 30 days to report it. If you wait any longer, you risk losing out on any benefits you might have otherwise received. If it’s an emergency, make sure you get to an emergency room right away and inform them that you’re there because of a work-related injury or illness. Do not hesitate to call 911. California law also requires all employers to have an Injury and Illness Prevention Program. The purpose of this law is to train and educate employees on issues related to health and safety in the workplace. Unsafe conditions should always be reported to help prevent injuries and illnesses before they occur. If your employer is unwilling to listen or refuses to fix the problem, contact the Division of Occupational Safety and Health (Cal/OSHA) right away. Practically every employee in the state of California, consisting of those who work part-time, need to be protected after an injury and should have the ability to make a claim for clinical hospital costs and medical benefits. A lawyer can assist with your work injury claim and can help if your claim is rejected or if there is a disagreement over benefits. Helping local residents in: Pomona, Riverside, Los Angeles, Baldwin Park, Glendora, San Bernardino, Covina, Chino Hills, Azusa, Walnut, Colton, Diamond Bar, Ontario, San Dimas, Fontana, West Covina, Upland, Rancho Cucamonga, Claremont, La Puente, Chino, Montclair, La Verne, and Rialto California. Have you been injured at work or work related legal issues like: Disability, Pain & Suffering, Negligence, Wrongful Termination, Discrimination, Wage & Hour, Injured, Medical? We Can Help!